Home › Label Learning Centre › Using Labels › What’s The Difference Between A4 and US Letter Paper Sheets? What’s The Difference Between A4 and US Letter Paper Sheets? A4 paper size sheets are part of the ISO 216 system that has been internationally adopted. The most frequently used size in the UK is the A4 format. This size is printable in most common home printers and has become their standard copy paper sheet. So, what exactly is the difference between the two? A4 dimensions have a width of 210MM and a length of 297MM. 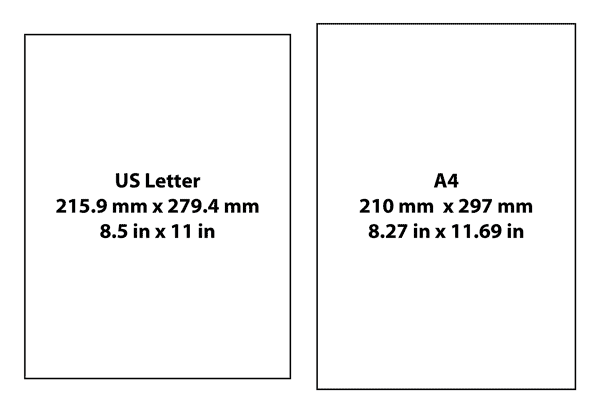 US Letter paper has a width of 215.9MM with a length of 279.4MM. Looking at the image above, you can see that the two are very similar in size. A4 sizes are the longer of the two, while US Letter is slightly wider. 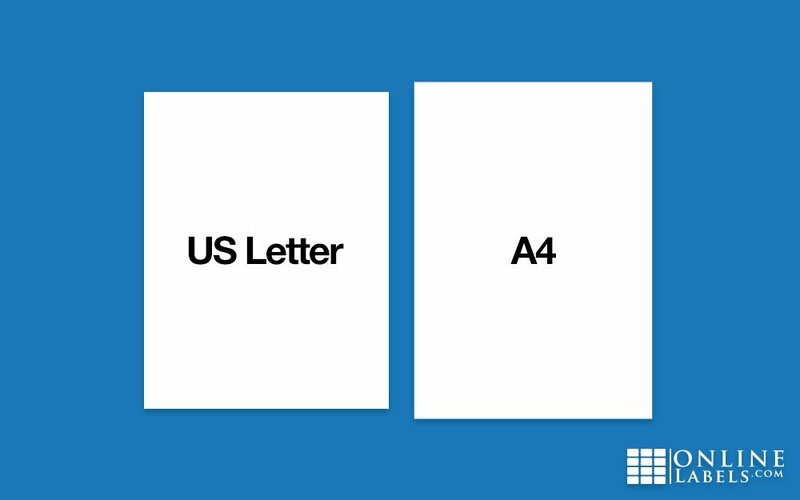 This difference may seem miniscule, but it can cause major headaches when trying to print something formatted as US Letter. To help make your designs print easily on A4 paper, we recommend using our blank templates and create them using Maestro Label Designer. This will ensure your labels will print in an A4 format. Learn the best way to apply labels on your surface with our easy-to-follow guide. The days following Thanksgiving are some of the largest consumer spending days of the year. Here are 10 tips to help your business with the holiday rush. Struggling to keep a label on a lip balm tube? Apply the perfect label every time with these lip balm labelling tips!